Do you have what it takes to be a star? 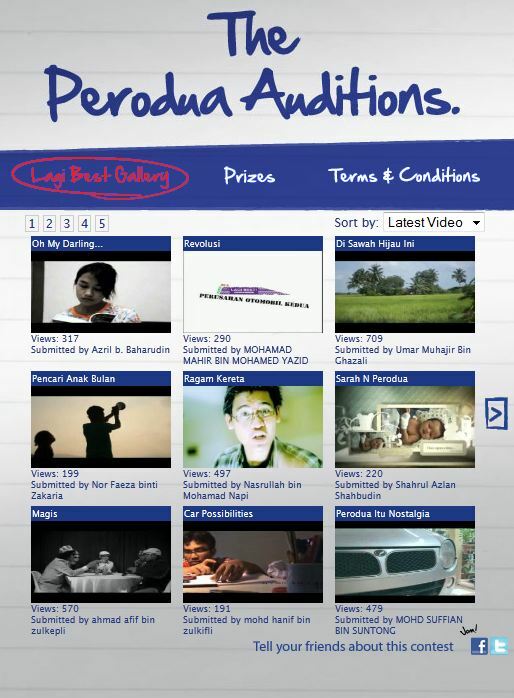 The Perodua Auditions was the car company’s first venture into Facebook contests, and it was launched simultaneously with their brand new MyPerodua Facebook page. 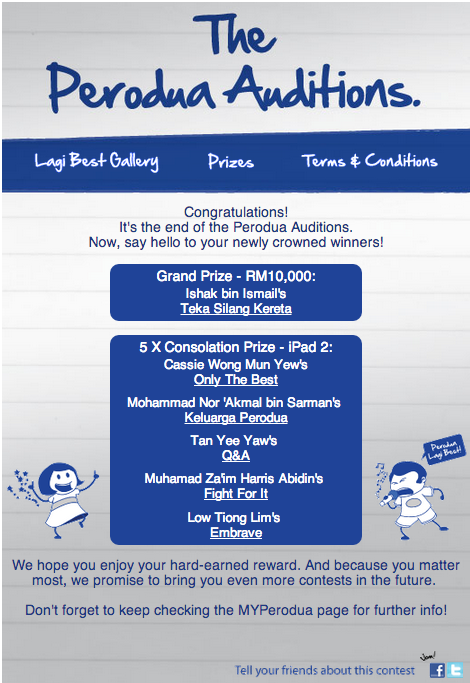 For this contest, participants had to “audition” by submitting a video online. On our end, we handled the entire contest administration system, together with re-encoding the uploaded videos so that they could be streamed to the page viewers.